Albert Arapeta Paurini Asher was born on 3 December 1879 at Tauranga to Katerina Rahera (daughter of Te Atirau Rahera me Paurini Te Whatarau and whangai to Hone Te Atirau) and David Asher (a native agent, licensed interpreter and storekeeper at Tauranga) and was the fifth of eleven children. Albert was educated at Tauranga School, a child prodigy on the rugby field who became a prominent sportsman, excelling particularly in rugby union and rugby league along with his brother Ernest and five other brothers, who also played representative rugby of one sort or another. Albert Asher was only 11½ years old when he played his first senior Rugby representative game, playing for Tauranga against Rotorua. Eighteen months later, still under 13 years, he played against Auckland—the youngest senior representative on record. In 1897 the Parnell Football Club enticed him to live and play in Auckland, and assured him of employment. The following year he played the first of his 21 games for Auckland. In 1902 he was a member of the first Auckland rugby team to hold the Ranfurly Shield. His made his Auckland debut in 1898, aged 18 and he soon settled into rep play, scoring his first two tries against Hawkes Bay. He didn’t tour with Auckland in 1899 and was left out of the early matches in 1900, although his club form (City, sparked by an excellent pack and their livewire winger, was now embarking on a near-decade of dominance) later demanded inclusion. In 1902 he scored in every match and his New Zealand selection in 1903 was a formality. ‘Opai’ Asher played many brilliant games for Auckland, but none better than in 1902, when Auckland was awarded the Ranfurly Shield, to become first holders of that ‘Log of Wood’ for which many Māori players have battled in winning and losing teams. But his greatest moments in Rugby were with the 1903 All Black team which was unbeaten in 10 games in Australia and which is still regarded by many old enthusiasts as the greatest All Black team in history. Asher was devastating on tour, quickly winning the nickname of ‘The India-rubber Man’ for his ability to bounce away from tackles. His New Zealand moniker, “Opai”, came from the 1898 Great Northern Hurdles winner of that name; Asher had a habit of leaping over tacklers as they tried to pin his legs. He played every match and only failed to score in the second New South Wales fixture, which New Zealand won by a Billy Wallace penalty goal. Duncan McGregor on the other wing was nearly as successful – the pair registered 28 tries in 10 matches – and no opponent could contain the screaming speed on the New Zealand flanks. New Zealand’s first test was played on that tour and Asher had a place by right. He scored our first test try, crossing just after halftime. They called ‘Opai’ Asher the ‘Indian Rubber Man’ and not without good reason. It was in 1903 that Australians saw him at his best. ‘Thrilled were the crowds by the Māori wonder who, when picked up and dumped, appeared to bounce, and was the next moment making for the goal line, with a running action entirely his own,’ ‘When White, the N.S.W. three-quarter, collared Asher in the 1903 match; Asher fell to the ground. White turned to take up his position again and when next he looked was astounded to see “Opai” running over the goal line. “Opai” had jumped, or rather bounced, up and was off to the desired haven.’ Asher scored 17 tries on that tour, playing in 10 matches. His brilliantly elusive running on the wing yielded 17 tries, a record which was not eclipsed until 1951, and his feats of hurdling tacklers made him the sensation of the tour. But there was good reason for his non-selection. Working with the fire brigade, he had suffered a leg injury. He insisted on playing for Auckland in the Ranfurly Shield match won by Wellington, 6–3, but his old-time speed and trickery were missing. They took him to hospital for a more thorough medical check, and there they found that a splinter of glass had been lodged behind his knee. That piece of glass kept Albert Asher from almost certain selection in the 1905 All Black team to Great Britain. He played his last Rugby Union match in 1907, and then transferred to Rugby League. His next rugby venture started in confusion and ended in his expulsion from the game. He was a member of the 1908 New Zealand Māori team that toured Australia – in the absence of any formal organisation, the tour was privately raised and led by Albert and Ernest – but the players were met by Sydney officials who were expecting a league team! Since they were footing the bills a league team is what they got, although the New Zealanders had to hurriedly grab rule books and practice new skills. Naturally, as feelings over professionalism were running hot at the time, all the Māori players received life bans on their return home. The following season in 1909 Asher was back with a properly organised Māori league side, although he was immediately arrested on a fugitive warrant (there were still bills outstanding from the previous tour and, while Asher wasn’t responsible, he had been a member of that team) and was rescued in the nick of time by officials who settled the debt. 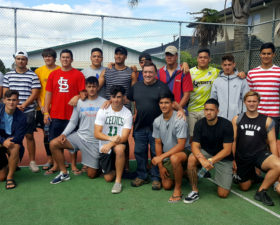 That Māori team created a sensation, winning the O. T. Punch Cup by wins in the first three of five matches between the Māori and the ‘Kangaroos’. The third match was seen by 45,000 people, and it was after this match that ‘Opai’ jumped the fence at the Sydney Cricket Ground to take the cup! In 1910, the formation year of the New Zealand Rugby Football League, both represented New Zealand against the first English rugby league team to tour New Zealand. 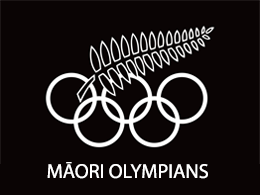 They also played against England with the Māori team. 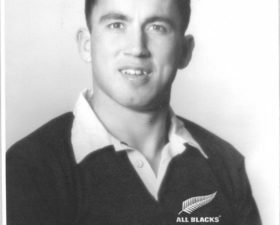 Ernest was again included in the NZ team to tour Australia, playing as a three-quarter or fullback, with outstanding form. Albert was a NZ league representative again in 1913. Albert and Ernest were key figures in the establishment of the City Rovers Rugby League Club, Auckland, in 1910. ‘Opai’ kept playing for the club for many years retiring in his mid – 40s. On 20 January 1914 at Auckland Ernest Asher married May Hill. They had one child. Following his retirement from top-level league in 1916 Ernest went on to achieve success as a manager, selector and administrator. At one stage he was a selector for four major teams in one season. 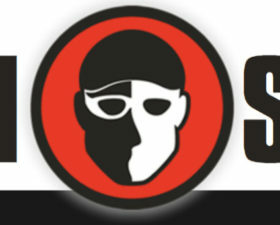 He became a life member of a number of league clubs and organisations, including the New Zealand Rugby Football League. In 1956 he managed the New Zealand Maori Rugby League team that toured Australia. 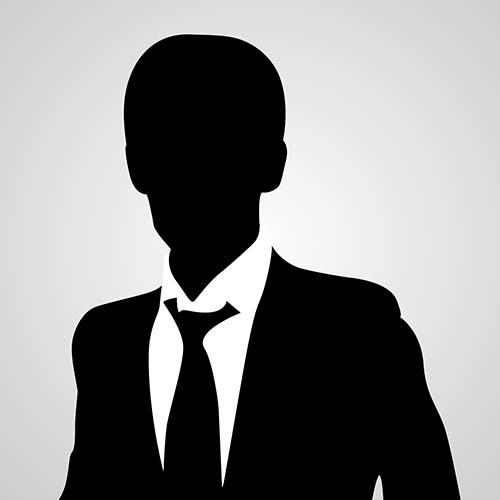 He was secretary of the New Zealand Maori Rugby League Board for nearly 60 years and a delegate to the Council of the New Zealand Rugby Football League. Ernest Asher was active in weightlifting circles and was on the administrative committee of the Auckland Weightlifting Association. In later life he maintained a strong interest in personal fitness. A hairdresser for some 50 years, Ernest worked in his High Street barber shop for the latter part of his career. He was prominent in the Auckland Hairdressers’ Assistants Union. Albert worked as a fireman from around 1902 and at various times was employed as a farmer, gas stoker, railway man, labourer, clerk and boilermaker. For 20 years he kept in touch with rugby league followers in his capacity as groundsman at Carlaw Park. In his 80s he was still in demand for autographs. He died in Auckland on 8 January 1965 survived by three daughters and two sons; his wife had predeceased him. Ernest Asher died at Auckland on 10 April 1973. His wife, May, had died in 1962 and his son, George, had been killed in action at Monte Cassino, Italy, in 1944 while serving as a lieutenant in the 28th New Zealand (Maori) Battalion.